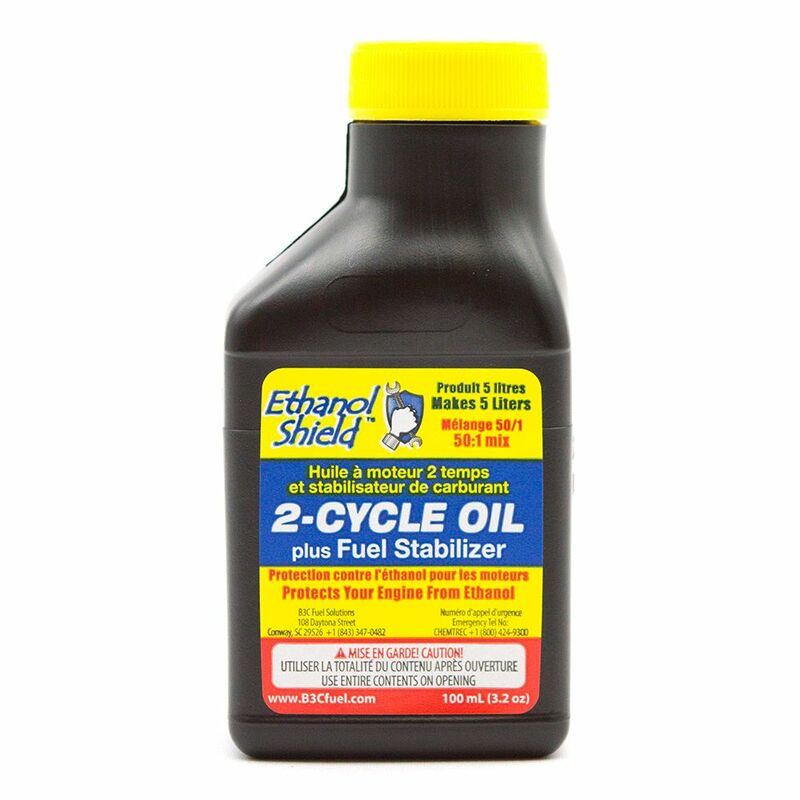 Ethanol Shield 2-Cycle oil is the perfect solution to help guard your engine and fuel system from the harmful effects of ethanol fuels. This 2-Cycle oil is specifically formulated to provide the best combination of lubrication for your engine plus protection from ethanol and stale fuel related problems. This will result in improved starting, performance and service life. Fix poor or non-running engines with 4 oz. Mechanic in a Bottle. This synthetic fuel additive works in your power equipment with 2-cycle and 4-cycle engines. It removes all varnish in the fuel system without having to remove the carburetor, removes carbon deposits, removes water, reconditions rubber and plastic components and revitalizes old fuel. Mechanic in a Bottle rejuvenates your equipment's fuel system so that it starts efficiently and operates in top condition. G-Oil is part of a line of 100% environmentally friendly outdoor products and accessories. Made from all natural, biodegradable materials, G-oil offers an easy way to help save the environment one bottle at a time. K100 Fuel Treatments are proprietary formulations of complex engineered organic compounds developed to eliminate water in fuels, remove gums and varnishes and stabilize fuel, add lubricity and corrosion protection and boost cetane/octane ratings. Its ALL- IN ONE Chemistry is all you will need to keep your engines running right. Ethanol Shield 2-Cycle Oil 100 mL Ethanol Shield 2-Cycle oil is the perfect solution to help guard your engine and fuel system from the harmful effects of ethanol fuels. This 2-Cycle oil is specifically formulated to provide the best combination of lubrication for your engine plus protection from ethanol and stale fuel related problems. This will result in improved starting, performance and service life.